Little Rock (LR) women’s volleyball went down in a valiant effort tonight at Louisiana-Lafayette. The Ragin’ Cajuns won the match 3-1. After losing the first two sets (25-19 and 25-14), the Trojans battled back in the third set and won 25-18. Louisiana-Lafayette then took the fourth set 25-20 to win the match. Taylor Lindberg led the match with 37 assists. Lindberg and Daisha Gillard had three blocks a piece. Marina Avram had a match-high 19 kills, Maritza Mesa tallied four aces and Sydnee Martin led both teams with 20 digs. 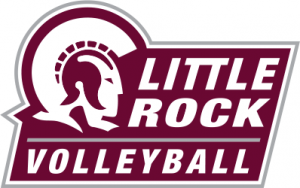 LR travels home for back-to-back matches against Texas State and UT-Arlington on October 1, and 2. Both games have start times of 6:30 p.m.